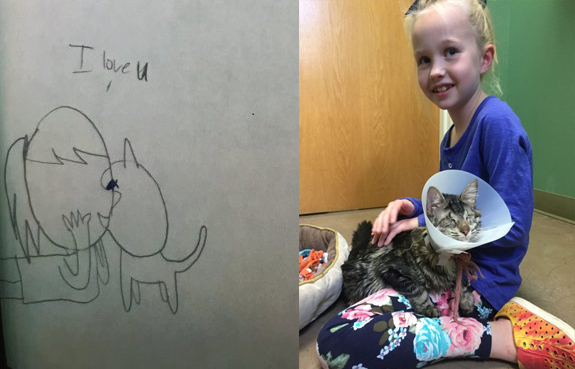 Little Girl Chose Drawing Cartoons to Convey Her Overwhelming Love Toward Blind Rescued Cat And Convince Her Parents Adopt The Feline! Once rescued by Arizona Humane Society, Justice, as the cat is called, was in a very complicated health situation; both of her eyes suffered from severe trauma and had to be eradicated. Hereby, the poor Justice turned into an animal with special needs, and the door of unknown shrugged before her future. probably even the most optimists in Arizona Humane Society or other cat’s right advocates and lovers would see Justice’s chance to have new home and family to take care of as unlikely-to-hope. 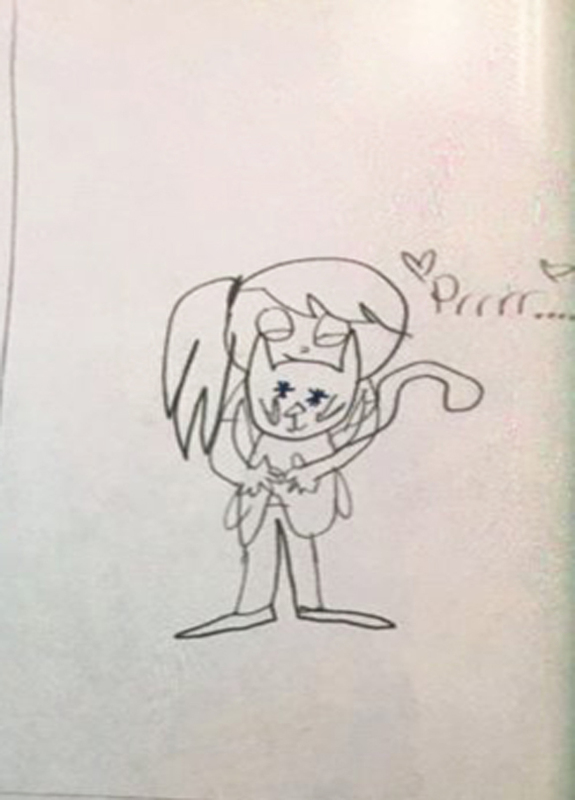 Uncertainty was the title of a tragedy that was about to begin, were it not a golden hand that outstretched her fingers to grab the poor cat out of its misery. Indeed, Justice’s situation was expecting a miracle, and the miracle did come in the form of an angel-like little girl! The new little mistress fell in love with Justice at first sight when she came across the animal online. Suddenly, that love grew into extremely overwhelming fascination that overcame the little girl’s both heart and mind. 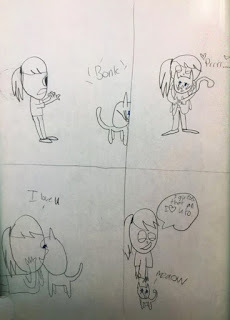 Love toward Justice has conquered deeply into the angel-girl’s imagination that she began drawing detailed cartoons about the cat and her future life with her beloved feline! 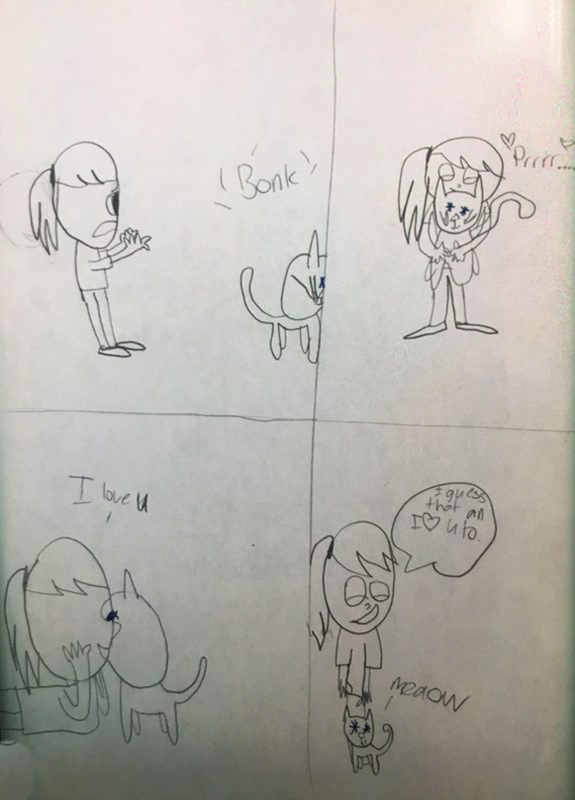 Seeing the depth of her fascination and love towards Justice, her parents eventually bent under this strong wage of noble emotions and agreed to take her to the shelter to meet Justice for the first time. 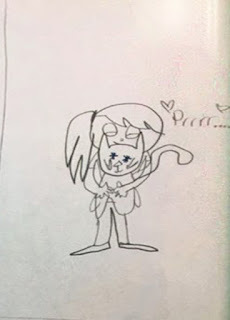 From then on begin a story of love between the inseparable human-pet polar couple! Looking on Justice body language and facial expressions as well as other gestures, all tell you one thing; the lucky feline loves her mistress as much as the little girl bears for her. 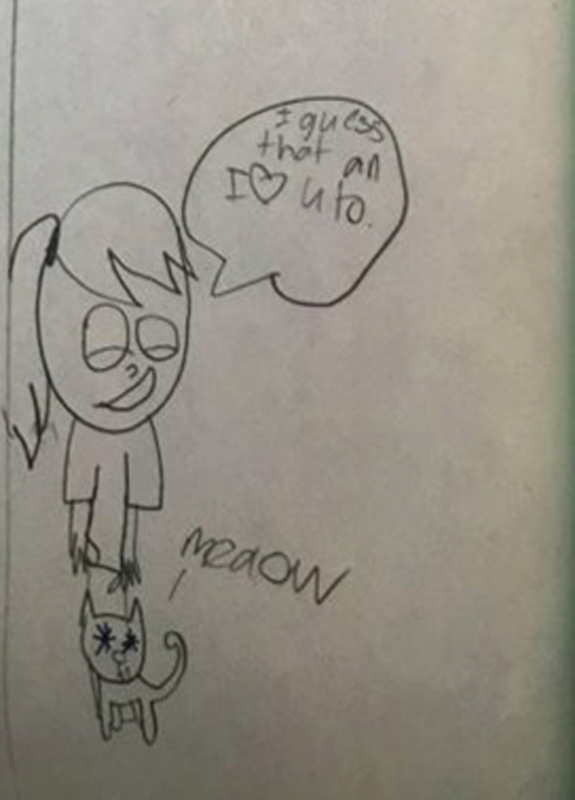 The innocent overwhelming and emotional relationship between the cat and her best friend gives the impression of non-earthily bond, sounds more like a heaven match! Following are some of the little girl’s drawings. A deep examining look at the drawings is bond to suggest the silver couple will live long years of great moments in a harmonious life.